The nationwide battle to ban the box is gaining strength with the decision late last month by Minneapolis-headquartered Target Corp. to remove from its employment applications the box that applicants must check if they have a criminal record. 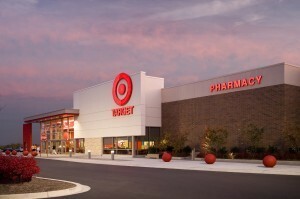 Target’s move, however, was not totally altruistic. Intense pressure by TakeAction Minnesota, a statewide coalition of organizations dedicated to economic and social justice, helped force the issue. And on top of that, Minnesota Governor Mark Dayton signed a law earlier this year – effective Jan. 1, 2014 – that expands the ban-the-box policy already in force for state government agencies to cover all private employers in Minnesota. To its credit, however, Target plans to carry out the policy for all of its employees across the U.S. The company will keep the box off of the application form, postponing the question until the applicant is being interviewed or has a tentative job offer. This gives those who were formerly convicted or incarcerated a chance to get their foot in the door and make a good impression, hopefully encouraging the hiring manger to approach them as a human being rather than with an all-too-typical stereotypical attitude about their past. As the country’s second largest retailer after Walmart, which removed the box from its applications in 2010, Target’s action could have an impact nationwide. The company operates 1,797 stores in this country – it also began operating stores in Canada in March – with 361,000 employees worldwide. Although Target’s action may help propel the ban-the-box movement forward, true credit should be given to Minnesota lawmakers. They took the initiative, joining Hawaii and Massachusetts, which have already enacted laws requiring private employers to ban the box, as has Rhode Island. Like Minnesota’s, Rhode Island’s legislation will go into effect at the beginning of next year. California, Colorado, Connecticut, Illinois, Maryland, and New Mexico all ban the box for employment applications for state agency jobs, and more than 50 cities, including New York City, Baltimore and Chicago have banned the box on applications for local government positions. The National Employment Law project publishes a Ban the Box directory detailing all of the cities and counties that have banned the box. The directory includes a history of how they did it and their current hiring practices, as well as contact information and links to government agencies, organizations, reports, laws and examples of employment applications. It also includes other resources for those who want to know more about the subject. While ban-the-box efforts have been ongoing for several years on a variety of fronts, Target’s action may prove to be an inspiration to continue to broaden efforts beyond government agencies. In fact, it didn’t take long for Illinois State Representative La Shawn Ford (D-Chicago) to take action. On Oct. 29, after Target announced its new intentions, Ford, who was the driving force for a state initiative banning the box on application for state agency jobs, made an appeal to all Illinois businesses to follow suit.